As the switchgear market worldwide is treading along a healthy growth track, the global laminated busbar market is anticipated to rake in a healthy share of the revenue pie. Laminated busbars are used in various industries and with their widening scope of applications such as in electric and hybrid vehicles, the market is expected to experience a significant push in the coming years. However, the upward climb of the market is marred by the protean prices of raw materials. Moreover, the expansion of gray markets is leading to the greater supply of low-quality and inexpensive products, which in turn is adversely affecting the overall revenue generation of the global laminated busbar market. The demand for these busbars is likely to witness a surge in the forthcoming years, especially for alternative energy. Power generation through alternative sources of energy requires the generation of DC feeds into a capacitor circuit and insulated-gate bipolar transistor, through a low inductance laminated busbars. This enables delivery of safe and efficient power. Developing regions are expected to emerge as key destinations for prominent players in the global laminated busbars market in the near future. The emergence of smart cities, increasing number of high-rise buildings, and government policies encouraging energy saving solutions are rendering these regions highly opportunistic. Market participants are also paying high attention to contracts and agreements and new product launches to stay ahead in the global arena. The power density requirements of present-day technologies and the highly complex and compact electronic devices require the central power distribution system to optimize the power being distributed, while also improve performance and reliability of the device it supplies. Also, the need for power distribution systems capable of making efficient use of space and providing low inductance is also deepening with rising adoption of high speed electronics and increasing switching speeds and decreasing pulse rise times of analog and digital circuits, generators, and data transmission equipment. These developments have made laminated busbar assemblies the ideal power distribution tool of late. This report on the global laminated busbar market presents a detailed overview of the market’s growth dynamic in the present times and forecasts it on global, regional, and country levels. The report includes a, in-depth analytical study of the market and the factors such as growth drivers, opportunities, trends, and challenges, expected to have a prominent impact on the market’s growth over the period between 2017 and 2025. 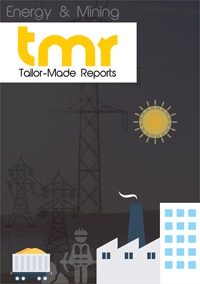 The report includes several forward-looking statements about the growth prospects of the market and its segments over the said period, backed by detailed analysis of past and present trends, industry standard analytical models, and inputs from industry experts. The level and dynamic of competition in the market has been examined with the help of a detailed Porter’s five forces analysis of the competitive landscape of the market, allowing the reader a clear understanding of the opportunities that new and established companies can exploit going ahead. The report also includes an attractiveness analysis for the key segments covered under the scope of the study, benchmarked on the basis of criteria such as future growth potential, present market size, growth attractiveness, and growth rate. The global market for laminated busbar has witnessed growth at a healthy pace in the past few years and is expected to remain strong over the report’s forecast period as well. Some of the key factors expected to have a notable positive impact on the overall development of the market are the rising adoption of connected infrastructures across industrial and residential setups and the rising demand for compact and high-speed electronics across these facilities. The increased focus on increasing the use of renewable energy sources and the subsequent need to modify power distribution infrastructures is also expected to fuel the demand for laminated busbar assemblies in the next few years. Moreover, the rising awareness regarding the need for saving and efficiently using energy is also expected to drive the increased demand for efficient power distribution tools such as laminated busbars. The report segments the global laminated busbar market on the basis of criteria such as insulation material, end-use industry, and geography. Of the key materials used for insulation in laminated busbars, including nomex, epoxy powder coating, polyimide, polyvinyl fluoride (PVF), epoxy glass, and polyethylene terephthalate (PET), the segment of epoxy coating presently dominates the market. The material finds extensive usage in the production of laminated busbars owing to its high dielectric strength and low cost. Key industries utilizing laminated busbar assemblies for a variety of applications include transportation, power electronics, telecom, data centers, and alternative energy. Of these, the power electronics industry is presently the key consumer of laminated busbars and is expected to remain the leading contributor of revenue to the global laminated busbar market in the next few years as well. From a geographical standpoint, the global laminated busbar market is dominated by Asia Pacific and Europe owing to the presence of established and high-growth industries such as steel, manufacturing, and automotive. Asia Pacific is expected to remain the region with the most promising growth opportunities for the laminated busbar market in the next few years owing to the continuously rising set of applications across these high-growth industries. Some of the key companies operating in the global laminated busbar market are Methode Electronics, Inc., Idealec SAS, Amphenol Corporation, Rogers Corporation, and Mersen S.A.